A good night’s sleep on a backpacking trip used to be a rarity, but today’s sleeping pads are much improved over their predecessors. Comfort is better than ever with advanced baffling and cell designs, weight and packed size continue to drop, and you can get all the insulation and warmth you need for cold weather. 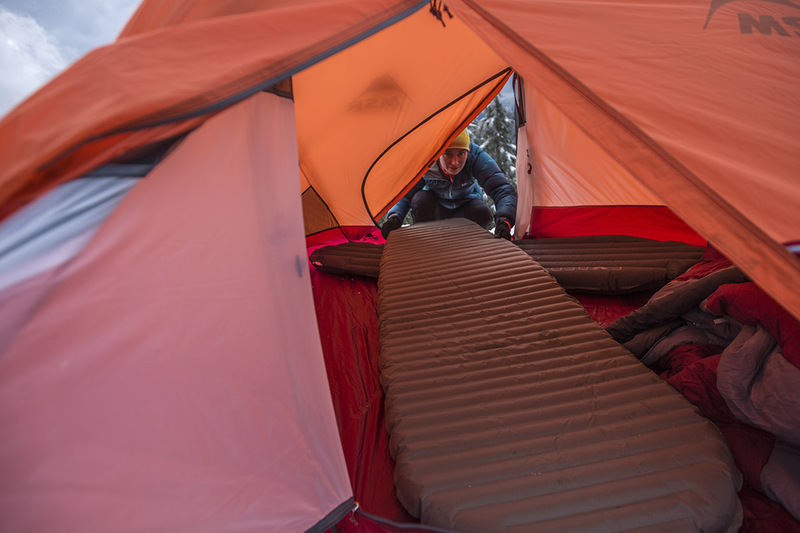 Below we break down the top sleeping pads for backpacking of 2019, including leading air, self-inflating, and foam models. With any pad you choose, make sure to take proper care to avoid holes. For more background information, see our sleeping pad comparison table and buying advice below the picks. For those sleeping close to the car that want more comfort, see our article on the best camping mattresses. What we like: Ultralight, comfortable, and well built. What we don’t: A little thin and crinkly. Therm-a-Rest is synonymous with quality backpacking pads, and the NeoAir XLite is their leading lightweight model. For most people and uses, it’s the whole package: the XLite is comfortable with Therm-a-Rest’s signature internal baffling, weighs just 12 ounces, and the R-value of 3.2 is enough for most 3-season trips. Furthermore, the XLite stuffs downs impressively small and takes up very little space in your pack. It’s true that the NeoAir XTherm below provides more insulation and has thicker fabric on the bottom of the pad, but it’s also 3 ounces heavier and costs a whopping $200. Like most ultralight backpacking gear, the XLite isn’t known for its durability. The 30D bottom is among the thinnest on this list and one of the reasons why the pad is ounces lighter than most (if you’re worried about popping your pad, both the NeoAir XTherm and Trekker are more durable). And keep in mind that the XLite is known for being somewhat crinkly due to the lightweight materials. We haven’t really minded and a recent update included softer fabrics, but the NeoAir line of pads is not the quietest on the market. It’s worth noting that for spring 2019, Therm-a-Rest will release their new NeoAir UberLite, an 8.8-ounce mattress with a 2.0 R-Value. For seriously ultralight-conscious adventurers, this mattress is an intriguing alternative for warm weather trips. What we like: Cheap and will never pop; thicker than the Therm-a-Rest Z Lite. What we don’t: Not nearly as comfortable as inflatable sleeping pads. We’ll start by saying that the Switchback from Nemo is not the right choice for those looking for a cushy and comfortable sleeping pad. You get a little less than an inch of closed-cell foam, along with a reflective coating designed to capture radiant heat. But we have the Switchback ranked here for two very important reasons: it’s cheap at just $50 for the regular version, and it will never pop. Despite the very thin and simplistic nature of this foam pad, we’ll take it over a $150+ air pad with a hole any day. Plus, it also serves as a great seat around camp, and some comfort seekers will use it beneath their regular air pad for extra cushion and protection. Compared to the uber-popular and long-standing Therm-a-Rest Z Lite Sol below, the new Switchback wins out in nearly every way. It’s thicker (0.9 inches compared to 0.75 inches) but packs down smaller, making it easier to strap to the outside of your backpack. It’s also a touch more comfortable, using two types of foam (firm and durable on the ground-side, soft foam on the body-side) rather than the Z Lite’s one. All that said, you will still feel rocks and roots beneath you much more than with the pricier air options above and below, and it won’t keep you insulated from the cold ground outside of the summer months (it’s comfort rated for 20 to 35°F). What we like: Super comfortable. What we don’t: Heavier than the leading Therm-a-Rest pads. Best known for waterproof gear and accessories, Australian-based Sea to Summit has made a big splash in the sleeping pad market over the last few years. In a crowded field they set themselves apart with an innovative cell design that, simply put, is the most comfortable backpacking pad we’ve slept on. There are six available versions—Comfort Plus, Comfort Light, and Ultralight, all three of which have non-insulated options—but the Comfort Light Insulated is our favorite. At about 21 ounces, you do add some weight with the Comfort Light compared to other pads at or near the top of this list. However, for weekend backpackers who like a little more plushness, the more than 300 AirSprung Cells provide great cushion. In addition, the R-value of 4.2 is just about perfect for all types of 3-season backpacking trips. One point of note: in testing the ultralight version of this pad, we did create a small puncture while sleeping in a tent on slickrock. The 40D ripstop nylon is a touch thicker than ultralight pads like the Therm-a-Rest XLite above but still requires a healthy amount of care. What we like: High R-value for 4-season backpacking. What we don’t: Pricey and overkill for most conditions. For more warmth and durability than our top pick, the NeoAir XLite, give the NeoAir XTherm a serious look. This pad has the same lightweight internal baffling design of the XLite, but adds a silver lining (literally) with ThermaCapture technology. The build mimics a built-in emergency blanket by reflecting back your body heat, giving the pad a winter-ready R-value of 5.7 with minimal bulk and weight. Lest we forget, the pad is equally as comfortable as the other NeoAir models, with a gradually tapered shape and small, unobtrusive horizontal baffles to sleep on. But the XTherm does come at a cost, literally. Price is the biggest hurdle for most backpackers, and the XTherm starts at a steep $200 for the regular size. Further, the R-value of 5.7 is nice but overkill for most 3-season backpacking trips. On the other hand, the XTherm has a more durable 70-denier bottom fabric than the XLite at 30D. If you need the extra warmth and can afford it, the XTherm is a cold weather standout for serious backpackers. What we like: Very lightweight but 3 inches thick. What we don’t: Super thin construction. The Tensor is an impressive addition to the air pad market, combining a lightweight and packable build with 3 inches of cushion for a comfortable rest. This is a notable half-inch increase over the Therm-a-Rest NeoAir models above, which is particularly beneficial for side sleepers. 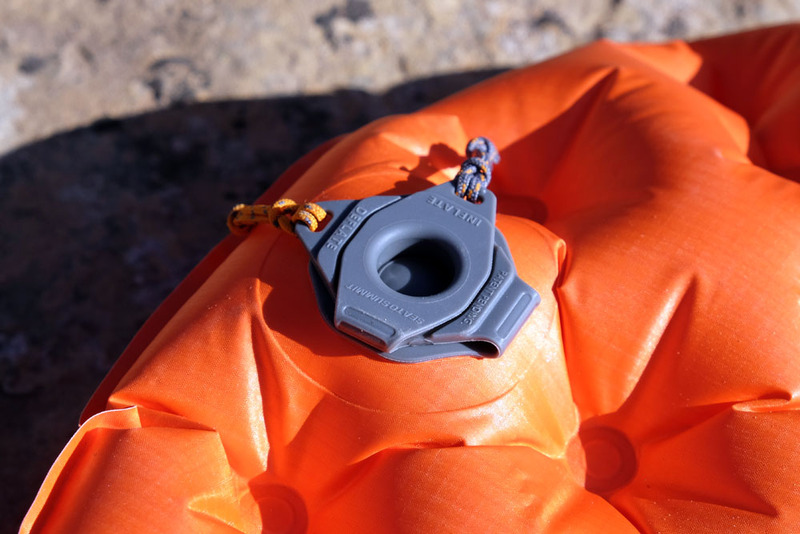 Plus, the 2019 update of the Tensor incorporates a feature we don’t see in the NeoAir XTherm or XLite: a low-profile valve that makes it easier to inflate, make micro adjustments, and deflate when you’re ready to pack up. And although it’s never been an issue for us, those bothered by the crinkly NeoAirs should be happy with the somewhat quieter Nemo construction. The reason the Tensor hasn’t yet overtaken the NeoAir pads, however, is that durability falls short. Neither the XLite nor the Tensor are particularly tough, but the Nemo’s 20-denier fabric is more likely to get a puncture (the XLite is 30D) yet it’s still the heavier option. But if you value the extra cushion and are gentle on your gear, the Nemo Tensor is an excellent lightweight pad and slightly cheaper than a Therm-a-Rest. 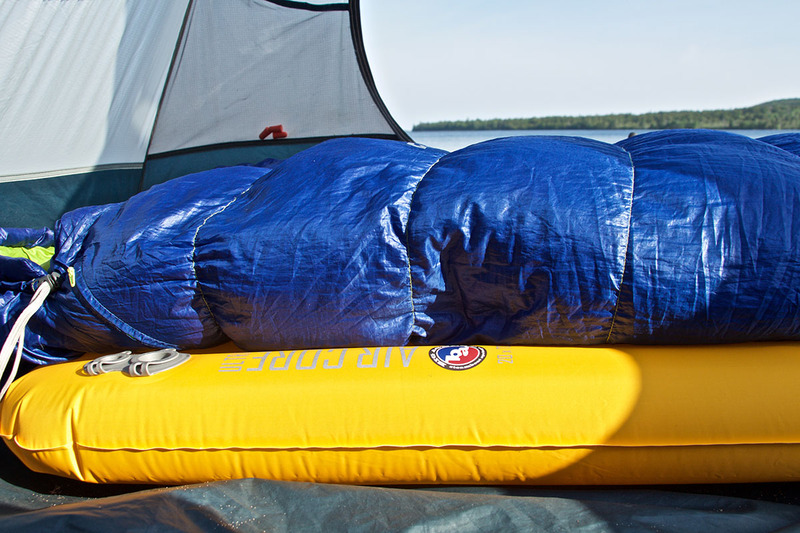 What we like: Good price, lightweight, and super easy to inflate and deflate. What we don’t: Only 2 inches thick. At $100, REI’s popular Flash Insulated undercuts the competition in price but doesn’t compromise in specs with a 15-ounce weight and R-value of 3.7. In use, the pad impressed us with its high level of comfort and an excellent inflation and deflation system with dedicated valves for each. Blowing up the mat took us about 8 breaths and it deflates in just a few seconds—both are much faster at their respective purposes than the Therm-a-Rest NeoAirs. All told, the Flash’s combination of weight, comfort, and warmth make it an appealing 3-season option. In many ways, the REI Flash is a budget alternative to Sea to Summit’s Comfort Light above. Both have cell-like constructions, mummy shapes, and pack down small. The Flash is $70 cheaper and a significant 6 ounces lighter, although we found the Sea to Summit to be more comfortable overall. At only 2 inches thick, the Flash isn’t quite cushioned enough for side sleepers—we could occasionally feel the ground through the baffling—but most back and stomach sleepers should find it supportive and comfortable. In addition, there are a growing number of complaints about the Flash developing holes over time. We haven’t popped ours after extensive use, but the durability concerns are enough to drop the REI a few spots down our list for 2019. What we like: Durable and lightweight. What we don’t: Nemo Switchback above is thicker and more comfortable. Therm-a-Rest’s Z Lite Sol is a backpacking classic. This basic three-quarter-inch pad features tough closed-cell foam, a reflective coating for a boost in warmth, and a budget-friendly price of $45. Further, the pad folds up accordion-style into a reasonably compact package for storing on the top, side, or bottom of a pack. As with the Nemo Switchback above, the Z Lite is not a leader in terms of comfort, but it’s hard to argue with the dependability of a cheap foam mat. You’ll see the Therm-a-Rest Z Lite Sol strapped to a surprisingly high number of packs. Ultralighters love the low weight and dependability, budget backpackers love the price, and winter campers use it as a second mat for a boost in warmth. In the end, the new Switchback above beats it rather handily in comfort with its thicker, more plush design, but the Z Lite is the proven choice that still gets the slight edge in weight (14 oz. vs. 14.5 for the Nemo) and price ($45 vs. $50). What we like: Thick and very comfortable foam cushioning. What we don’t: Much heavier than an air pad. Building on the success of their backpacking air pads, Sea to Summit released the SI line (for “self-inflating”). The options range from a 1-inch ultralight mat to the top-of-the-line Comfort Plus SI listed here. As the name indicates, this is a very comfortable design. 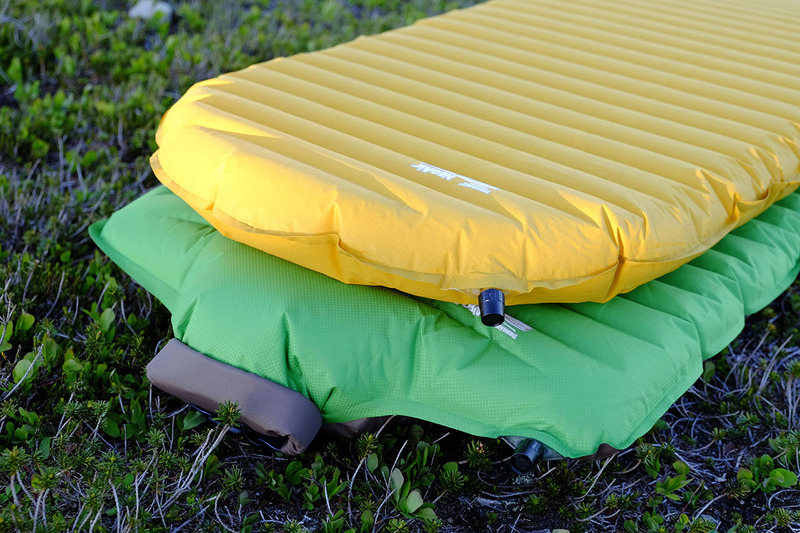 Its 3-inch construction is the thickest foam build on our list, and the pad’s generous semi-rectangular shape and soft fabrics are luxurious for backcountry use. With an R-value of 4.1, the Comfort Plus SI adds up to a good 3-season option for backpackers who want the convenience and cushy feel. The downsides of the Comfort Plus SI are typical for a self-inflating design. The foam makes the pad more than a pound heavier than Therm-a-Rest’s NeoAir XLite, which also uses a 30-denier fabric. Additionally, the Sea to Summit’s packed size is noticeably larger than its air pad competition. A final complaint is that the included stuff sack is too small and it can be a real pain trying to get the rolled pad stowed away. In the end, ounce counters should stick to one of the lighter alternatives above, but the Comfort Plus SI’s supportive and plush feel earns it a spot on our list. What we like: Super thick construction but lightweight. What we don’t: We think the premium pads above are more comfortable. Steamboat Springs-based Big Agnes consistently makes some of the best lightweight backpacking gear on the market. From their wide-ranging sleeping pad line, we like their flagship Q-Core SLX best. Updated two years ago with stronger fabrics, the pad is the thickest on our list at 3.5 inches (it’s even wider along the edges at 4.25 in. ), but is still impressively light at 16 ounces for the regular size. Admittedly, such a thick pad may be overkill for some backpackers—we find the 2.5-inch NeoAirs to be sufficient in most instances—but side sleepers or those looking for maximum isolation from the ground will likely love the SLX. 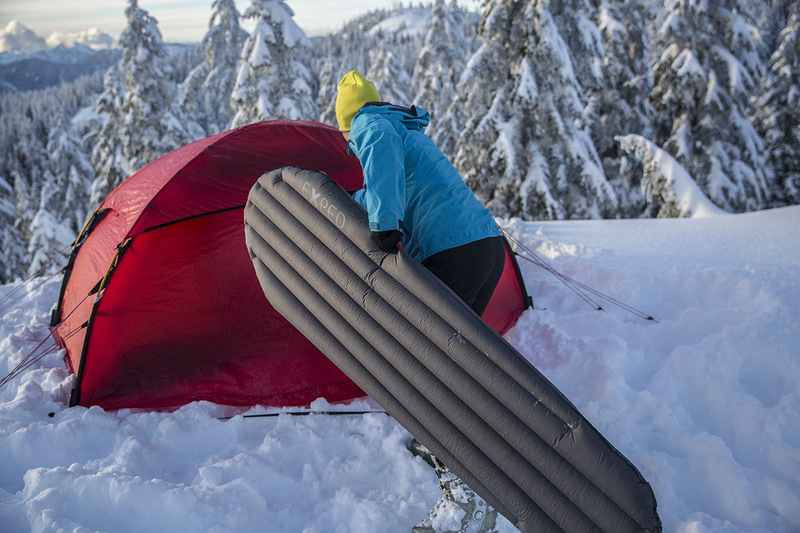 Priced at $160, the Q-Core SLX goes head-to-head with some of our favorite pads, including the Therm-a-Rest NeoAir XLite, Nemo Tensor, and Exped SynMat. Among this ultralight grouping, the SLX is the thickest option by a half inch and features one of the easiest to use valve systems. That said, we find the others slightly more comfortable overall as the quilted top design of the Big Agnes feels rigid and not as plush as the competition. Last year, Big Agnes released the AXL Air, which offers similar levels of comfort and durability but at an impressive 9.6-ounce weight. However, its minimal insulation makes it less versatile than the Q-Core SLX for those that camp at higher elevations or in temperatures less than around 40°F. What we like: Self-inflating convenience and quality build. What we don’t: Weight and packed size can’t compete with an air pad. 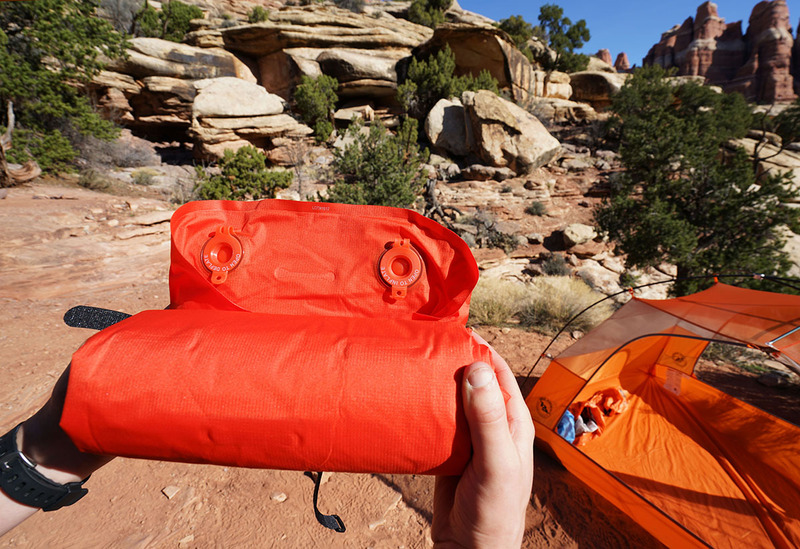 Air pads dominate the backpacking market, but self-inflating models still have a place due to their convenient set up and cushy foam padding. One of our favorite self-inflating designs is Therm-a-Rest’s Trail Pro, which hits a nice balance of comfort, warmth, and price. 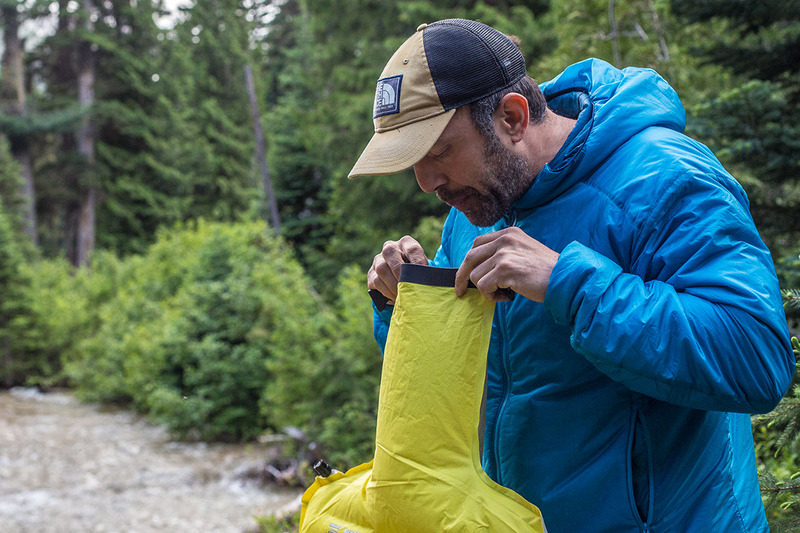 The pad is super easy to use—just unroll it and open the valve to inflate—and its 4.0 R-value and 2-inch thickness give you enough warmth and protection for most spring, summer, and fall trips. With a price of $100, we think the Trail Pro is also a solid deal for weekend warriors. 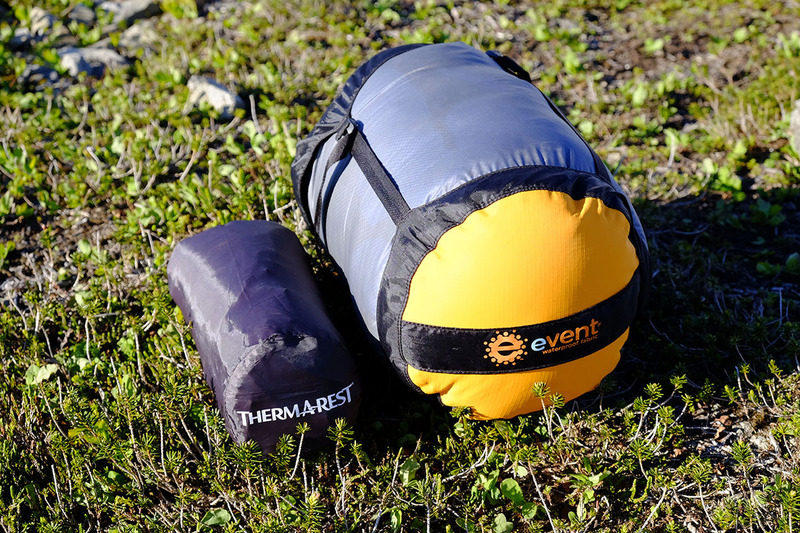 What are the downsides of the Therm-a-Rest Trail Pro? As with the Sea to Summit Comfort Plus SI above, the pad’s packed size and 26-ounce weight makes it larger and heavier than a comparable air pad. And comfort-minded backpackers and side sleepers might prefer a thicker option like the Comfort Plus. On the other hand, the Trail Pro is less likely to spring a leak than most air pads with a 75-denier bottom fabric. 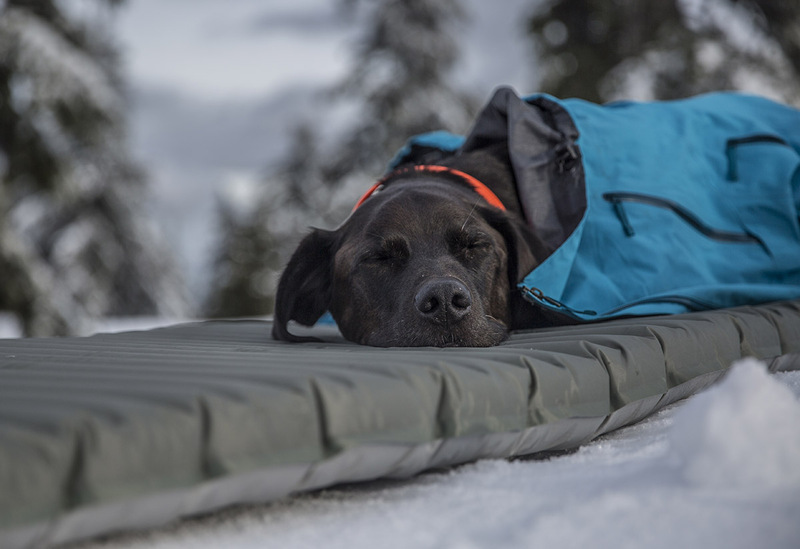 If you like the security of a self-inflating build, the Trail Pro is a well-rounded option from our favorite sleeping pad brand. What we like: Crazy light and surprisingly comfortable. What we don’t: Limited durability and insulation. The big news in the sleeping pad world for 2019 is Therm-a-Rest’s latest ultralight wonder: the Uberlite. Based off the popular NeoAir series, the new mat is the Seattle brand’s lightest creation yet, shaving an impressive 3.2 ounces off our top-rated XLite above. We brought the Uberlite on a backpacking trip into the Grand Canyon and it held up nicely: the familiar horizontal baffling makes it just as comfortable as the other NeoAir mats, we didn’t experience any punctures despite sleeping in a floorless Hyperlite shelter, and the tiny stuff sack fit easily into the smallest crevices in our pack. The NeoAir Uberlite has a lot of appeal for those looking to trim their base weight, but, unsurprisingly, it comes with a fair number of compromises. With an R-value of 2.0, the pad was just warm enough for us when temperatures dipped into the mid 40s Fahrenheit, but it likely will be too cold for the shoulder seasons or even summer trips high into the alpine. Further, the 15-denier fabric is even thinner than the XLite’s delicate 30-denier shell and therefore is prone to punctures (you’ll want to make sure to bring your patch kit on every trip). For $10 less, we prefer the XLite’s greater versatility, but for warm weather adventures when weight is your primary consideration, the Uberlite is the pad to get. What we like: Taller baffles on the sides hold you in. What we don’t: Heavy and too thin for side sleepers. Another uniquely designed backpacking pad is the REI AirRail Plus. With a mummy shape, it measures a little wider (25 inches) than standard pads to accommodate the outer baffles, which is enough to keep most arms from sliding off the sides (a problem with narrow ultralight models). Further, the outer tubes sit higher than the middle, providing a comfy cocoon that keeps you from wandering off in the middle of the night. With an insulated foam center panel and synthetic fill in the outer rails, the AirRail clocks in with an R-value of 5.0, making it a solid option for subfreezing nights. 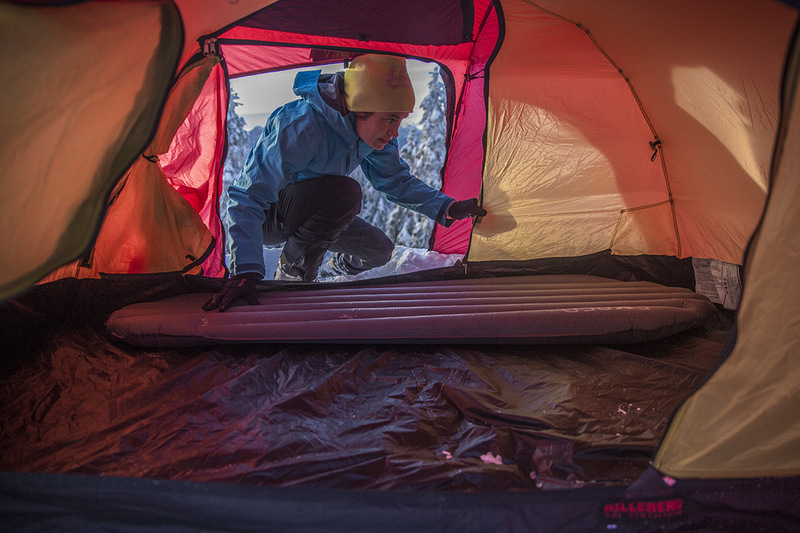 While it’s designated as a self-inflating mat, consider the AirRail a hybrid as it’ll require a few breaths to fully inflate the foam-less outer tubes. At only 1.5 inches thick in the center, it can’t match the cushion of an air pad—especially for side sleepers—but does pack down impressively small for a self-inflating foam build. Overall, it’s a decent design that becomes even more appealing considering the price and the consistently high marks it gets from users. What we like: Fantastic insulation for the weight. What we don’t: Aggressively tapered design is narrow at the feet. Across the Exped lineup—from the extreme weather DownMat to the SynMat HL here—the pads offer outstanding warmth for the weight. For ultralight backpacking, their SynMat HL comes through with impressive specs: 2.8 inches of thickness, an R-Value of 3.3, and a weight just over 12 ounces. To accomplish this, Exped does taper the foot-end of the pad more than we would prefer, but if you don’t roll around much at night or are out to cut as much weight as possible, it may be worth the compromise. The SynMat's well-designed flat valve is one of our favorites, and a nice upgrade over the twist-style valves you find on the NeoAirs above. It’s easy to use and has a handy one-way flap to keep air from escaping while blowing it up. Furthermore, the included Schnozzel pumpbag works great: it attaches easily to the valve, stays put, and doubles as a stuff sack for the pad. The pumpbag does add another 2 ounces to the total weight, but we think it’s worth it at high elevations or if you’re prone to lightheadedness. What we like: Great comfort from a very packable model. What we don’t: Heavy for a NeoAir and won’t handle cold temperatures well. Holding six of the spots on our list, Therm-a-Rest is a clear standout in the world of sleeping pads. Of course, each pad is designed with a purpose in mind, whether that be fast-and-light travel, winter use, or comfort. The NeoAir Trekker takes from all of these models and is a jack-of-all-trades air pad with a relatively affordable price tag. It’s a great intro model that prizes comfort over insulation and weight, and the rectangular design—plus the option for a wide model—is accommodating to active sleepers that are prone to rolling off their pad. With the Trekker, you get the same 2.5 inches of cushion as other NeoAir pads, but this model has a lower R-value of 3.0. Additionally, it is a few ounces heavier than most other Therm-a-Rest offerings, but with a 70D base, is a solid workhorse. We think of the Trekker as a great option for most mild weather backpackers who want comfort and durability but don’t need the lightest of the light. Like other pads in the NeoAir line, you can expect mild crinkly sounds from the lightweight materials and baffling. What we like: Wide sleeping platform and great price. What we don’t: Not a standout in any specific category. Klymit’s radical X Frame pad may have put the company on the map, but their follow-up Insulated Static V Lite is their best offering. Whereas the X Frame cuts away excess materials and resembles a skeleton (and offers no insulation from the ground), the Static V Lite is a little more traditional and comfortable. We particularly like the 23-inch width (most regular pads are 20-inches wide). Combined with raised baffles along the sides, the Klymit is a stable and roomy sleeping platform that is great for active sleepers. Outside of the extra space and very competitive price, however, the Insulated Static V Lite doesn’t really stand out. Using 30-denier fabric, we’d expect it to weigh less than 19.6 ounces (the warmer 15-ounce XTherm has a higher denier rating on the bottom of the pad), so you sacrifice durability without the typical reward of weight. It may not win outright in terms of weight-to-warmth against Therm-a-Rest, and it falls short of Sea to Summit in overall comfort, but the wide shape, small packed size, and value are enough to get the Static V Lite a place on our list. What we like: Great price and packed size for a thick pad. If you only backpack in warm conditions, an uninsulated pad is a great way of saving money and weight. 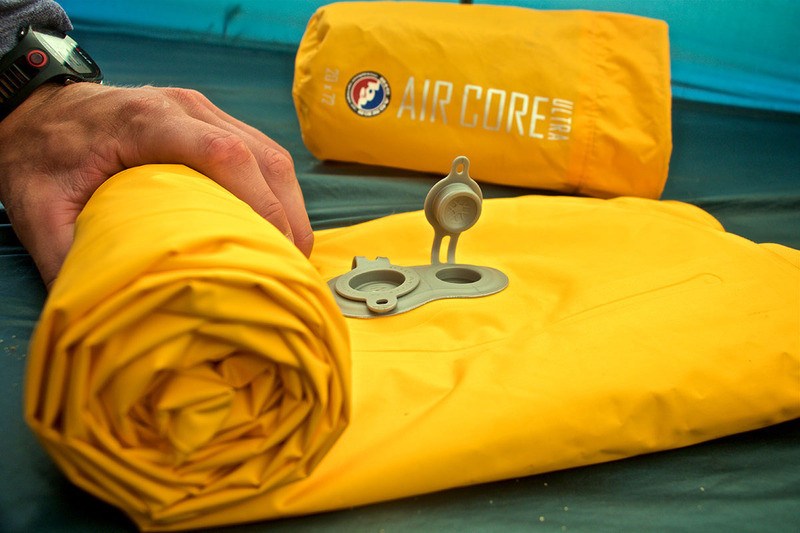 The Big Agnes Air Core Ultra is an excellent example: for $70 you get 3.5-inches of comfort at a very reasonable 20 ounces. Additionally, the 70-denier fabric is quite a bit tougher than the ultralight pads that dominate our list, so you don’t need to be constantly worried about a puncture (that doesn’t mean it can’t happen, however). The “Ultra” is the updated version of the popular Air Core series, and features an improved, two-way valve with dedicated openings for inflation and deflation. We still think the vertical baffles are not as comfortable as the NeoAir and Nemo models above, but the extra thick construction is a definite boon for side sleepers. If you’ll be out in cool weather, there is an insulated version of the Air Core Ultra (rated at 15°F), although it tacks on $20 to the bottom line. What we like: Great price and comfortable for the casual backpacker. What we don’t: Relatively heavy and large packed size. If you only get out backpacking a couple times a year or are willing to carry a little extra weight, you can save a lot of money by choosing a basic self-inflating pad. The Alps Mountaineering Lightweight is our favorite option in this category with its generous rectangular shape, easy-to-use twist valve, and budget-friendly price of $65 (we often see the regular size on sale on Amazon closer to $50). The foam provides plenty of warmth with an R-value of 4.0, although the 1.5-inch thickness is a notable step down in comfort from the options above. The old school self-inflating construction of the Alps Mountaineering pad does have a few significant downsides. First, the pad is heavy at over 2 pounds, and its 4.5 x 21-inch packed size can be a strain on a loaded pack. Moreover, the build quality falls short of the premium and mid-range designs above. We don’t recommend the Alps Mountaineering Lightweight for dedicated backpackers or those seeking maximum comfort, but it does the trick for shorter trips or as a hybrid backpacking and camping option. Therm-a-Rest NeoAir XLite $170 Air pad 12 oz. 2.5 in. 3.2 30D 4 x 9 in. Nemo Switchback $50 Foam 14.5 oz. 0.9 in. 20-35°F N/A 5 x 20 in. Sea to Summit Comfort Light $170 Air pad 21 oz. 2.5 in. 4.2 40D 4.5 x 9 in. Therm-a-Rest NeoAir XTherm $200 Air pad 15 oz. 2.5 in. 5.7 70D 4 x 9 in. Nemo Tensor Insulated $160 Air pad 15 oz. 3 in. 10-20°F 20D 3 x 8 in. REI Co-op Flash Insulated $100 Air pad 15 oz. 2 in. 3.7 30D 4 x 9.5 in. Therm-a-Rest Z Lite SOL $45 Foam 14 oz. 0.75 in. 2.6 N/A 5.5 x 20 in. Sea to Summit Comfort Plus SI $140 Self-inflating 30 oz. 3 in. 4.1 30D 7.5 x 12 in. Big Agnes Q-Core SLX $160 Air pad 16 oz. 3.5 in. 15°F 40D 4 x 7.5 in. Therm-a-Rest Trail Pro $100 Self-inflating 27 in. 2 in. 4.0 75D 6.6 x 11 in. Therm-a-Rest NeoAir Uberlite $180 Air pad 8.8 oz. 2.5 in. 2.0 15D 3.5 x 6 in. REI Co-op AirRail Plus $90 Self-inflating 25 oz. 1.5 in. 5.0 75D 6.5 x 11 in. Exped SynMat HL $179 Air pad 12.9 oz. 2.8 in. 3.3 20D 3.5 x 7.5 in. Therm-a-Rest NeoAir Trekker $130 Air pad 18 oz. 2.5 in. 3.0 70D 4.5 x 9 in. Klymit Insulated Static V Lite $95 Air pad 19.6 oz. 2.5 in. 4.4 30D 5 x 8 in. Big Agnes Air Core Ultra $70 Air pad 20 oz. 3.5 in. 35°F 70D 4 x 7 in. Alps Mountaineering Lightweight $65 Self-inflating 36 oz. 1.5 in. 4.0 75D 4.5 x 21 in. Your average sleeping pad search will return three general types: air, self-inflating, and closed-cell foam. 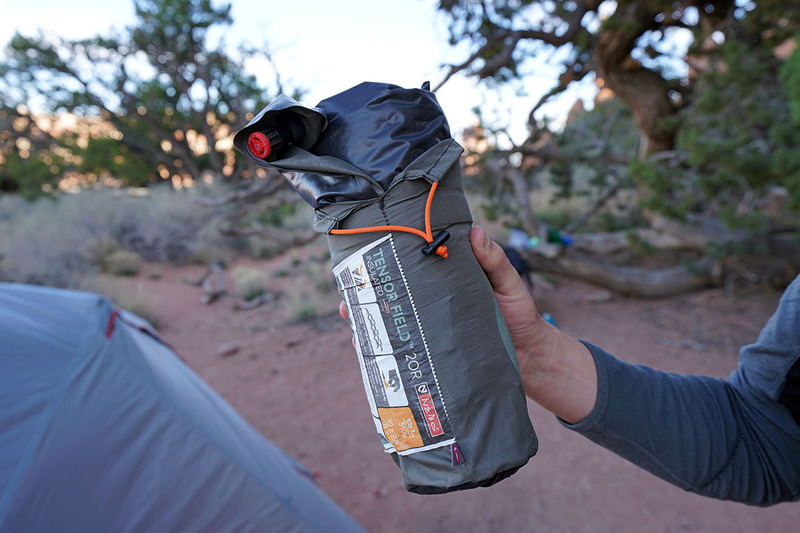 Air pads offer unmatched compactness, often rolling down to the same size as a Nalgene bottle. They’re also the lightest option, while at the same time providing unmatched thickness. Bonded insulation or baffling techniques can bring impressive warmth, highlighted by the Therm-a-Rest XTherm with an R-value of 5.7. The primary downside is a greater puncture risk, and it’s a big consideration. Middle of the night deflations can ruin a trip really fast. Bringing along a patch kit should alleviate most concerns, but it’s still the biggest a reason to not buy an air pad. The self-inflating mattress was a revolutionary idea when the Therm-a-Rest was invented in 1972. By combining open-cell foam and a space for the pad to expand and fill with air, it brought convenience, decent durability, and comfort. It’s a testament to that technology that most of today’s self-inflating pads haven’t deviated much. Compared with air pads, self-inflating options are more puncture resistant, and you still have some semblance of padding if it deflates in the middle of the night. Negatives are that the foam brings extra poundage and they don’t pack down as small as an equivalent air pad. Backpacking options are also often not as thick (one exception is the Sea to Summit SI line), leading to complaints from side sleepers. The old closed-cell foam pads still have a place on this list as a dependable, tried-and-true option. Yes, they’re the least comfortable option, don’t pack as small, and don’t have the highest R-values, but they also have exactly a zero percent chance of deflating in the middle of the night. And they’re the perfect secondary pads to bring along for winter camping. Designs like the Therm-a-Rest Z Lite and Nemo Switchback are staples for long-distance trekkers and thru-hikers due to their versatile and lightweight constructions. Weight is a primary consideration for many backpackers—just look at the quick rise of the ultralight backpacking movement. On this list, you’ll find everything from the 8.8-ounce Therm-a-Rest NeoAir Uberlite to the 36-ounce Alps Mountaineering Lightweight. We think that the best backpacking pad options are in the 12 to 18-ounce range, offering cutting-edge materials along with respectable levels of comfort and warmth. And our top pick, the Therm-a-Rest NeoAir XLite, does just that as a fantastic 3-season ultralight pad at just 12 ounces. As with any piece of outdoor gear, the less it weighs the more fragile it will be. It doesn’t make a ton of sense to buy a $200 ultralight sleeping pad if you only plan on using it on a couple of easy weekend trips each summer. And regardless of its weight, make sure to take reasonable care when setting up camp and stowing your pad. Comfort is relative when sleeping on the ground, and most people who can’t handle a night under the stars don’t backpack or camp at all. 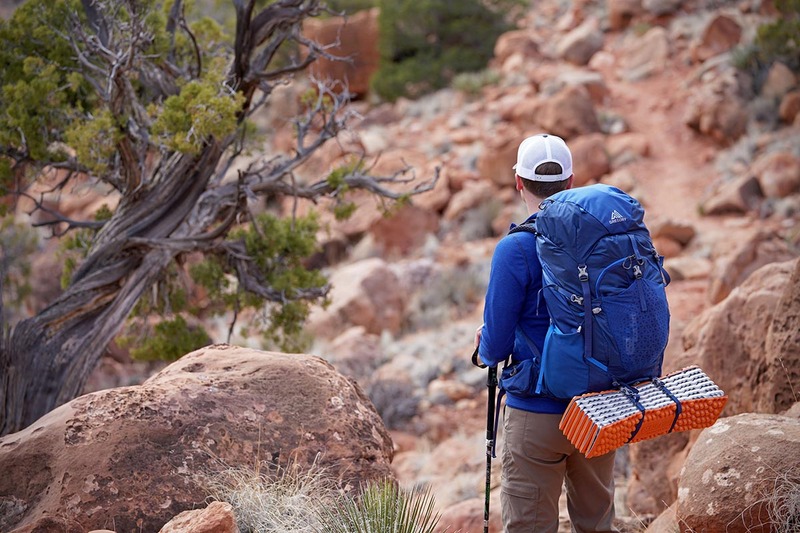 Backpacking pads are thinner and less plush than camping mattresses and pads, but the latest outdoor gear technology has made advances in this department. We think Sea to Summit’s AirSprung cells (2.5-inches thick on their Comfort Light pad) make for some of the most comfortable sleeping pads around, although they can’t quite compete with Therm-a-Rest in terms of weight and R-value per ounce. You may notice a lot of chatter in product comments about being a back sleeper or a side sleeper. Back sleeping more evenly distributes your weight, whereas side sleeping puts a higher percentage of weight around the hips and shoulders. If you are a side sleeper or don’t sleep particularly well in the outdoors, check out a substantial pad like the Big Agnes Q Core SLX, which is 3.5 inches thick in the middle and 4.25 inches along the sides. If you need serious cushion, consider one of the lighter options on our list of the best camping mattresses and pads. R-Value: How Much Do You Need? 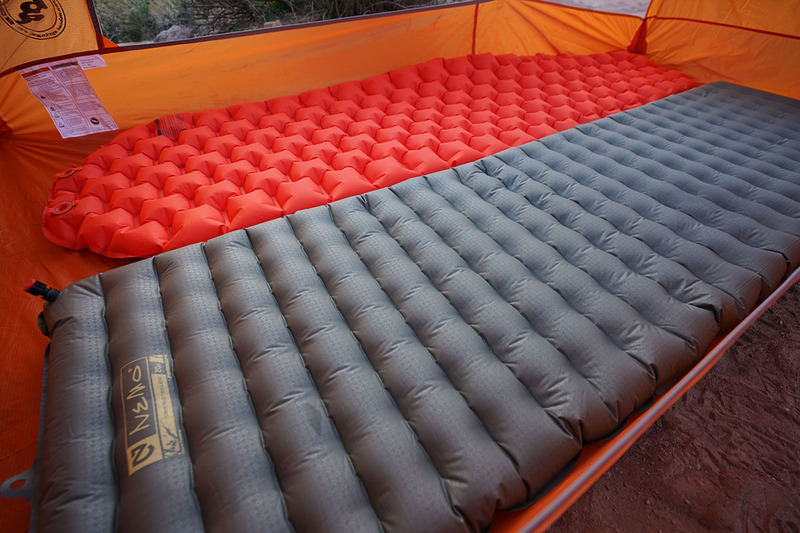 R-value, in the context of sleeping pads, is a measurement of how well the pad is insulating you from the ground. The higher the number, the more the pad resists the cold air from coming through. Why is this important? Try taking a huge inflatable airbed on a camping trip in the spring and it’ll feel like you’re sleeping on top of an ice rink. All of that cold air moving between you and the ground equals one freezing body. Even a really warm sleeping bag won’t save you because your body is compressing the bag’s insulation. To combat this, you’ll need a sleeping pad that gives some level of protection. The average 3-season user should get a pad with an R-value of approximately 3-4. A summer-only backpacker that sticks to warm conditions can get away with less (and if the temperature is warm enough, you can get an uninsulated pad), and a true winter camper will want an R-value that exceeds 5. If you’ll be doing some camping on snow, it’s often a good idea to bring a combination of pads, especially if you plan to have one of the pads be the inflatable type. Imagine waking up in the middle of the night on top of snow on essentially a deflated balloon. Bring along a closed-cell foam pad like the Nemo Switchback or Z Lite SOL to be safe. Currently, not all sleeping pads have an advertised R-value (take, for example, Nemo’s popular Tensor Insulated, a pad that is rated from 10˚ to 20˚F). This lack of standardization makes it very difficult to compare one product to the next, posing a challenge to consumers looking for the best pad for their needs. The good news is that beginning in the year 2020, both REI and MEC (Canada’s large gear cooperative) will require that brands report an R-value rating to consumers. Packed size is a function of the pad type, amount of insulation, and fabric thickness. Uninsulated or lightly insulated air pads are far and away the most compact. Some even compress to the size of a can of soda, which is a far cry from the foam and self-inflating pads that dominated the market only a decade ago. A quick scan of our comparison table above shows that most air pads, even warm options like the Therm-a-Rest XTherm, pack down small enough to easily fit inside a backpacking pack. Designs like the XLite pack down impressively small and can be gripped in one hand. If you are considering a self-inflating or closed-cell foam pad, packed size can present a problem. A foam option like Therm-a-Rest Z Lite is 20-inches long (most air pads are about 7 to 9 inches), which means you’ll need to strap it to the outside of your pack. For some, this may not be an issue at all, but it’s one of a number of reasons why air pads have become so popular. Most sleeping pads are unisex and come in a two or three sizes that allow you to choose based on your height and comfort preferences. The “regular” pad often is right around 72 inches long, and the “large” often is between 77 and 80 inches long. Occasionally you’ll find a “small” size, and some brands even offer torso pads that are only about 2/3 the length of a regular pad. These aren’t the most comfortable models, but they do allow you to cut significant weight. Because your legs have fewer contact points with the ground, some people don’t mind the short length. 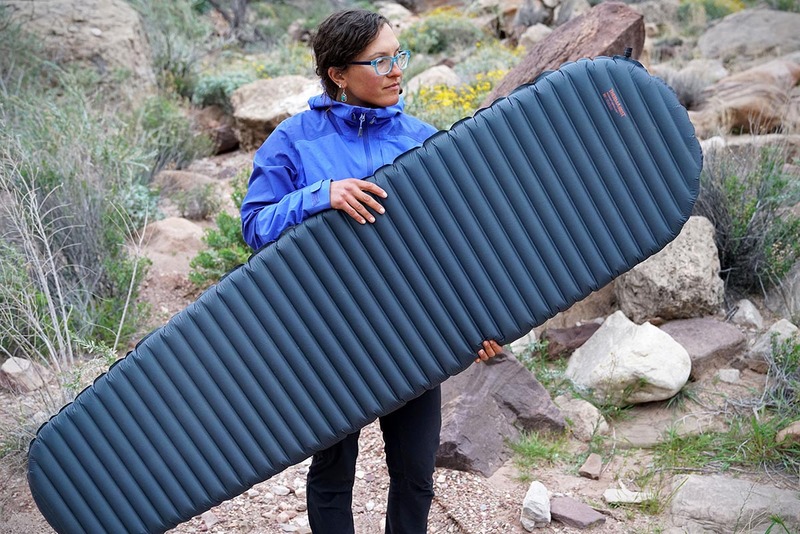 Some sleeping pads also come in a women’s version (including our top pick: Therm-a-Rest NeoAir XLite) that looks nearly identical to its unisex counterpart, so what’s the difference? To start, they’ll be shorter than the unisex pad (66 inches vs. 72). They also may offer a little more insulation (the women's XLite has an R-value of 3.9 vs. 3.2 for the unisex version), making them a great choice for shorter adults who sleep cold. The most common measure of durability in the outdoor gear world is denier (D), which measures the thickness of a fabric. The higher the denier, the tougher the material will be. Let us be clear: denier matters and you can feel the difference. So does weight, however, so it’s important to find the right balance for your backpacking style. Ultralight backpackers cut every possible ounce and usually know how to take care of their gear (otherwise it would be an extremely expensive hobby). The downside is that lower denier fabrics have shorter lifespans and a higher propensity to have durability issues in the backcountry. Both air and self-inflating pads utilize a valve, but it’s the air pad market that has seen recent advancements in technology. Traditional sleeping pads open and close by twisting and pushing or pulling a round plastic valve. In general, these work pretty well, and they’re still used on nearly all self-inflating pads and a number of air pads, but there are downsides. For one, the valve works inefficiently because it’s completely open while inflating, which allows some air to escape in-between breaths. Their upright profile also takes up space and can be damaged while moving around. Finally, they are slow to deflate. To address these issues, a number of manufactures including Sea to Summit, Nemo, REI, Big Agnes and Exped, have turned to flat valves. Beyond the slim profile, they often have dedicated openings for inflating and deflating, and importantly, a flap that keeps air from escaping while blowing into the opening. We've found pads like the REI Flash Insulated, which has two separate valves for inflating and deflating, to be reliable, efficient, and add essentially no weight—all excellent characteristics. Therm-a-Rest went a completely different route in creating their SpeedValve technology. The SV pads have a distinctive look with a long neck and very large opening at the head-end of the pad. By blowing hard towards the opening from a short distance (about 6 inches away), surrounding air is also pulled in, which means you can inflate these pads in as little as 4 breaths. Admittedly, it does add weight and we’re not totally smitten with the design (you can read our full review of the XLite SV pad here), but for those that prioritize saving their breath after a long day on the trail, it’s a class leader. If you are like most backpackers, you don’t head out year-round. To store a self-inflating pad in the offseason, make sure to leave it unrolled and the valve(s) open. By doing this you’ll keep the foam in good shape. If it’s stored compressed, the pad will lose its self-inflating nature because the foam will become overly compacted. Having a hard time finding a spot to store the pad? Under a bed or behind a couch are popular options. Air pad storage and care is a little simpler. Remove all the air from the pad and keep it rolled up in its storage bag to protect it from punctures. As for caring for a closed-cell foam pad. Hmmm. Try to not let your dog eat it, how about that? Okay, there are a few other tips. Don’t leave heavy objects on top of it to avoid undue compressing of the foam, and, if it’s a rollable type, store it unrolled so it doesn’t lose its shape. 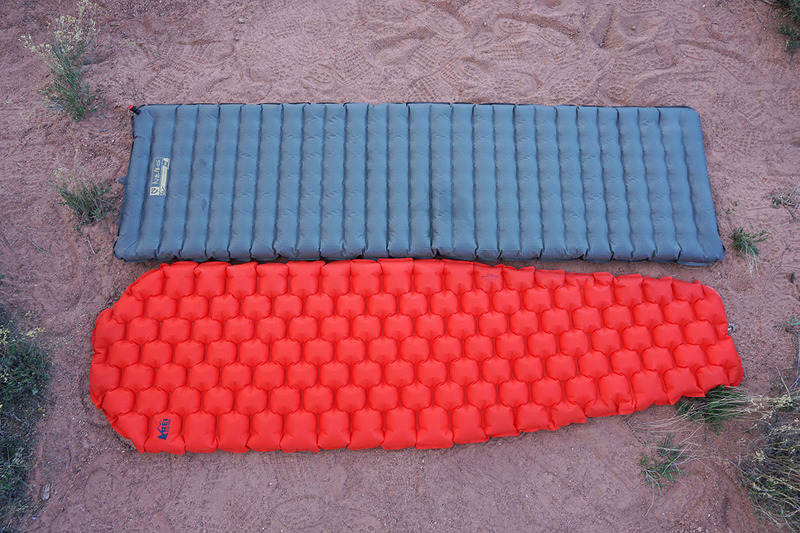 Sleeping pads for backpacking are light, pack down small, and are reasonably comfortable. But if you don’t plan on venturing far from the car, we recommend a thicker and more luxurious camping mattress instead. These mats are plush and warm, often layered with extra foam padding. They’re also a whole lot more durable because the manufacturers don’t have to use thin materials as a means to keep weight down. To see our full list of favorites and a breakdown of important features, check out our article on the best camping mattresses and pads.